Lunagirl Moonbeams by Lunagirl Vintage Images: New Collage Sheet! 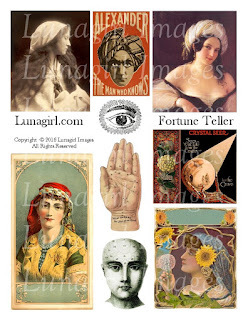 New digital collage sheet using some gypsy/fortuneteller images I've found. I've been meaning to use a couple of these for a long time. Hope you like it! Click on the image to see it larger in my Lunagirl etsy shop where it is for sale. I love the images Karen! Awesome collage sheet!